Marjory Stoneman Douglas High School in Parkland, Florida fell victim Wednesday to one of the worst school shootings in recent American history. According to Everytown for Gun Safety, it was the 18th school shooting this year. Florida governor Rick Scott quickly took to Twitter, offering his “thoughts and prayers.” Scott, who has an A-plus National Rifle Association rating, offered similar responses in the wake of Orlando’s Pulse nightclub shooting and Fort Lauderdale’s airport shooting. Despite this, he has opposed gun safety legislation such as stricter background checks for gun buyers. NRA backed legislators routinely block this type of gun safety legislation. Prior to the Parkland shooting, 14 Florida lawmakers had received NRA donations. This explains Florida’s relatively lax gun laws which made 19-year-old Nikolas Cruz’s purchase of an AR-15 less complicated than purchasing cold medications in his home state. The NRA has long been seen by democrats as untouchable. At one time, challenging the NRA was almost a career-ending move. That’s no longer true. 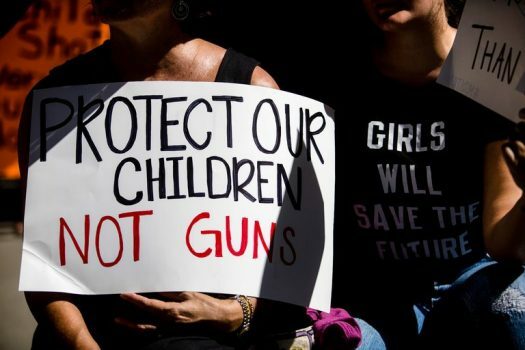 The movement for gun safety is quickly gaining traction. Common-sense gun legislation is the only way to prevent future school shootings, and the only way to pass this legislation is to reject the NRA.